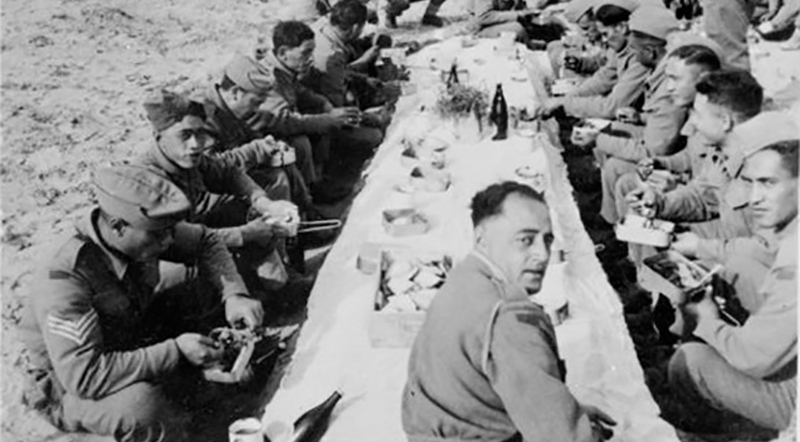 A recording of the carol “Silent Night” or “Tapu te Po,” sung in te reo Māori and English by men of the 28th Māori Battalion in North Africa in 1942, is one of the many Christmas taonga held in the Sound collection of Ngā Taonga Sound & Vision. 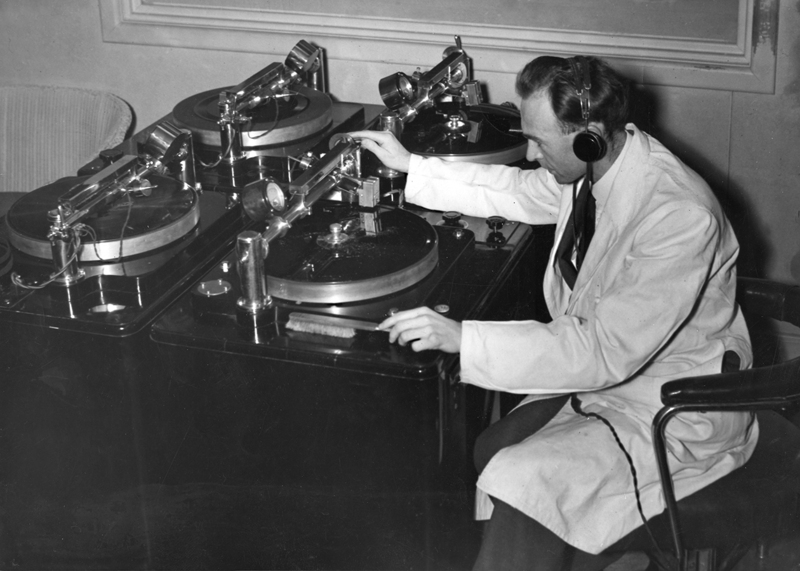 It is part of a series of recordings made by the National Broadcasting Service’s Mobile Recording Unit, in a New Zealand military hospital. 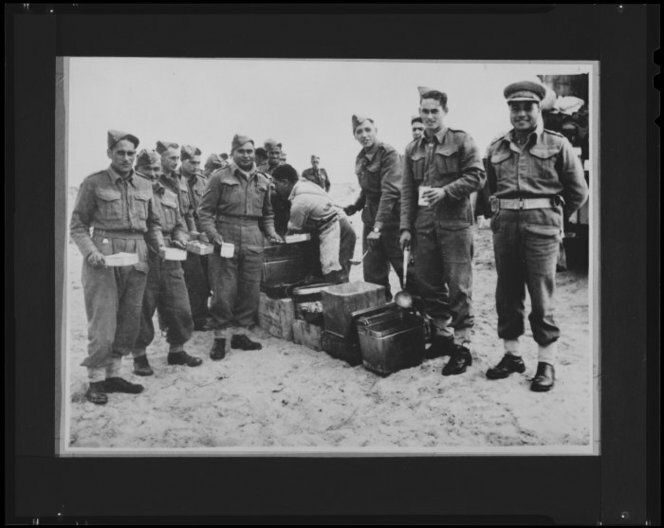 The men singing on the recording had been wounded in the Battle of El Alamein in October and November 1942, and were gathered together by Nurse Wiki Katene (Ngāti Toa) of Porirua, to make the recording which would be broadcast back in New Zealand at Christmas. You can hear me talking to Jesse Mulligan about these recordings on RNZ National here. The men also recorded Christmas greetings to their whānau, which you can listen to here, on the Māori Battalion’s website. In December 1942 the comrades of these wounded men were still fighting General Rommel’s German forces, the famous “Desert Rats,” pursuing them across the desert through Libya towards the city of Tripoli which the New Zealanders would take in January 1943. 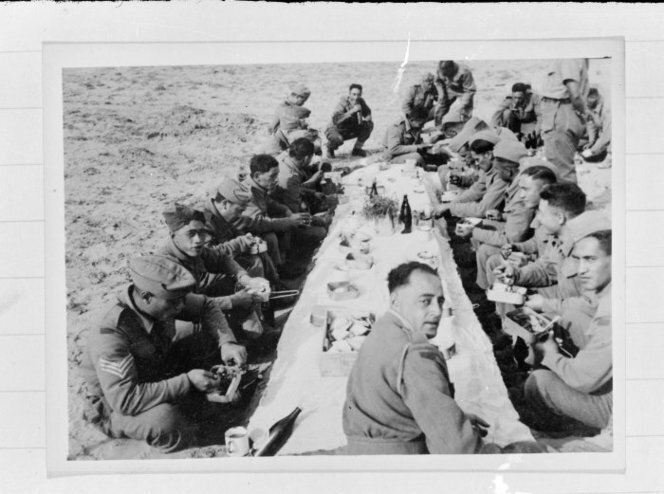 In another recording, made in the 1960s, their commander Lieutenant Colonel Charles Bennett (Ngāti Whakaue), recalled how the men celebrated Christmas Day in the desert that year, and managed to enjoy a traditional hāngī, although they were far from home and whānau. The event was captured in two photographs held at the National Library, with Lt Col Bennett on the far right.